Click here to read the updated story on the REFUGES program. On a balmy morning in late May, fifteen newly-graduated high schoolers and their families filed into the Art Works for Kids Auditorium on the University of Utah campus, greeting one another with excited chatter. The parents beamed with pride — many of their sons and daughters were the first in the family to attend college. Tino Nyawelo, assistant professor in the Department of Physics & Astronomy, cleared his throat in a futile attempt for the group’s attention. Failing to get it, he smiled at the crowd, thinking of his own journey to the university against overwhelming odds. He cleared his throat again, and this time won over the room. Tino Nyawelo, director of REFUGES and diversity & recruitment for CSME, and his partners Sudeanese refugee community built the REFUGES program from scratch. Nyawelo was addressing the 2017 cohort of the Refugees Exploring the Foundations of Undergraduate Education In Science (REFUGES) Bridge Program. Based in the Center for Science and Math Education at the U, the program aims to encourage underrepresented students to pursue science, technology, engineering, and math (STEM) education at the university level. The seven-week program gives freshmen the opportunity to live on campus with free meals, housing, tuition and to earn credits toward their degree. Many of the students were recruited from the REFUGES afterschool program that has provided tutoring, hands-on STEM workshops, college prep classes, and financial aid workshops to over 200 underrepresented students in Salt Lake City. 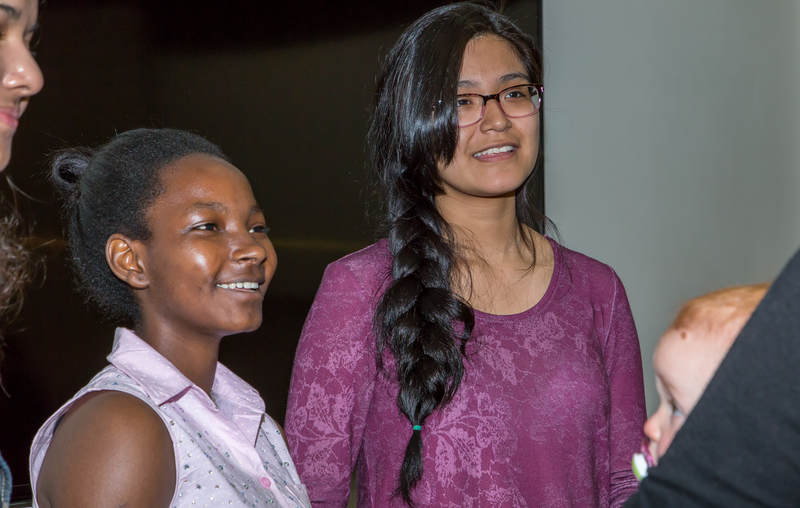 Nyawelo and community partners founded REFUGES to address the challenges faced by refugee youth, minorities, women, and economically disadvantaged students in Utah schools. Nyawelo, whose family fled violence at the outbreak of the Sudanese civil war, drew on his own experiences to build REFUGES from scratch. He fell in love with physics as a high schooler in South Sudan, and left the unrest in his country to pursue graduate studies in Europe. When he moved to Utah to join the U faculty, he wanted to pay it forward. The Summer Bridge program gives students an introduction to college life with a built-in support system; they live in the dorms, go on excursions, and tour research labs together to build a strong sense of community. For the first time this summer, the program is collaborating with the Department of Mathematics and LEAP; the students will complete two for-credit courses that help prepare them for success in STEM. These two courses will count toward general education credits to get one step closer to their degree. The small class sizes and supportive instructors and administrators help ease the transition for the students, many of whom are the first in their family to attend college. During the academic year, Bridge students will continue in the LEAP learning community, and will have opportunities to engage in internship and research experiences. Dego Gabo tests salt levels in the Great Salt Lake with Erin Tabish of the Great Salt Lake Institute. Both the REFUGES summer bridge and afterschool programs have been part of the CSME since 2013. The partnership was a perfect fit; one of the center’s core missions is to increase access to U science and math programming, says Jordan Gerton, director of the CSME. 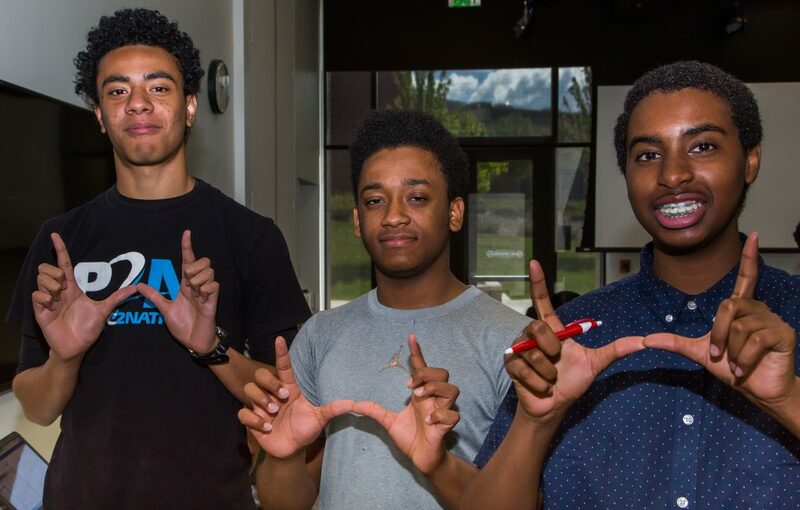 The Bridge program is one of many of the CSME’s efforts to increase diversity in STEM disciplines, including the collaborative Utah Pathways to STEM Initiative. Yet REFUGES is unique in that it sets nontraditional students up for success as undergraduates long before they begin college applications. The summer bridge is funded by a StepUP READY Grant provided by the Utah System of Higher Education, and the CMSE and the College of Science support the salaries of REFUGES staff. The program’s tutors are mainly paid by grants, including from the Department of Workforce Services, and Sudanese Community in Utah. Being part of the U helps the students access an amazing team of undergraduate tutors from the College of Science and College of Engineering, many of whom went through the REFUGES program themselves. Like many bridge participants, Jolly Karungi has had REFUGES in her life for years. Karungi began the afterschool program in 2015, a year after moving to Utah from a refugee camp in Uganda. Originally from the Democratic Republic of Congo, Karungi, her aunt, and her siblings lived in the camp for three years, moved to Kampala, Uganda for another three years before being resettled in Utah. Jolly Karungi (left) and Angie Gamarra (right) chat with an instructor during the REFUGES Bridge Program orientation. “When I came here, I didn’t speak any English, I didn’t understand what was going on. I had to catch up. This program helped me a lot,” she says. The afterschool program provides homework tutoring three times per week and includes hands-on STEM workshops for grades 7 through 12. High school seniors take ACT prep courses and financial aid workshops to help navigate the complicated college application system. The program has become a family affair; Karungi’s three younger siblings are participating, and their older brother, Fiston Mwesige, couldn’t be prouder. The years of hard work paid off — Karungi won a full ride scholarship to the U, and loves living on campus with her friends for the summer. For Karungi, REFUGES offers more than purely academic support. The REFUGES program has helped over 200 women, refugee, minorities, and economically disadvantaged students across two locations: the U campus and the Salt Lake Center for Science Education. This year, all 12 REFUGES high school seniors from the U site were admitted to the U, and six were offered full ride scholarships to the U or Westminster College. All seniors were offered over $86,000 in FAFSA scholarships. At the Salt Lake Center for Science Education, 17 seniors were accepted to the U, and the 25 students who completed FAFSA received over $200,000 in scholarships. In 2016, over 65 million people were forced to flee their homes worldwide, according to the United Nations Refugee Agency (UNHCR.) Of those, more than 22 million were considered refugees. Since 1988, Utah has resettled over 65,000 refugees, 99 percent of whom live in Salt Lake City, according to the Department of Workforce Services. Tupou Motuhifonua, Nick Nahas, and Jabrail Ahmed flash the U at the REFUGES Bridge Program orientation. To Nyawelo, the numbers are more than just statistics — many of his friends were resettled in Utah as refugees, including his wife and her family. While pursing graduate studies in Europe, he flew to Salt Lake City frequently, moving officially in 2007 to join the U faculty. “I knew a lot of refugees in Utah. Some of them were my classmates in South Sudan. I was lucky — I got a scholarship, I went to university. Some of them decided to leave because of a lot of unrest and they ended up here in Utah. I felt like I was home,” says Nyawelo. 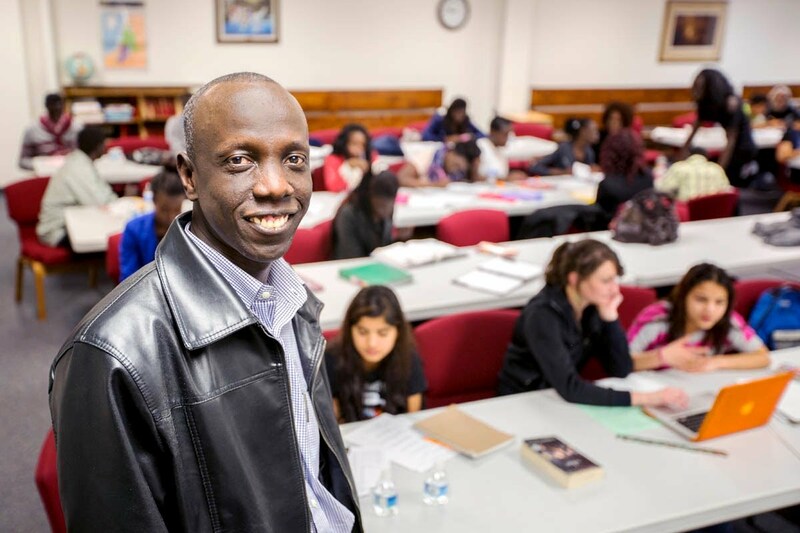 In 2009, he and other members of the refugee community began noticing high rates of school dropouts. After visiting homes, hosting town hall meetings, and organizing a youth summit, a pattern emerged; many refugee youth come to Utah after being in camps for years with little English and intermittent formal schooling. When they arrive in Utah, the school system places them in a grade based on their age, leaving many feeling overwhelmed and left behind. Osman Ahmed of the Department of Workforce Services is one of the community leaders who teamed up with Nyawelo to find the root of the issue. His son is one of the 15 students in the summer bridge program. After winning a grant from the Refugee Services Office, the program expanded to help other communities who were experiencing similar problems, such as immigrant populations and economically disadvantaged students. There is nothing like REFUGES because there is nothing quite like Nyawelo and the refugee community in Utah, says Gerton.